Sunday morning I was out running around and noticed that we received one of our first frost of the year. But to my amazement people were out on their lawns. I even saw someone mowing their grass while there was still frost on it and another person fertilizing their lawn. 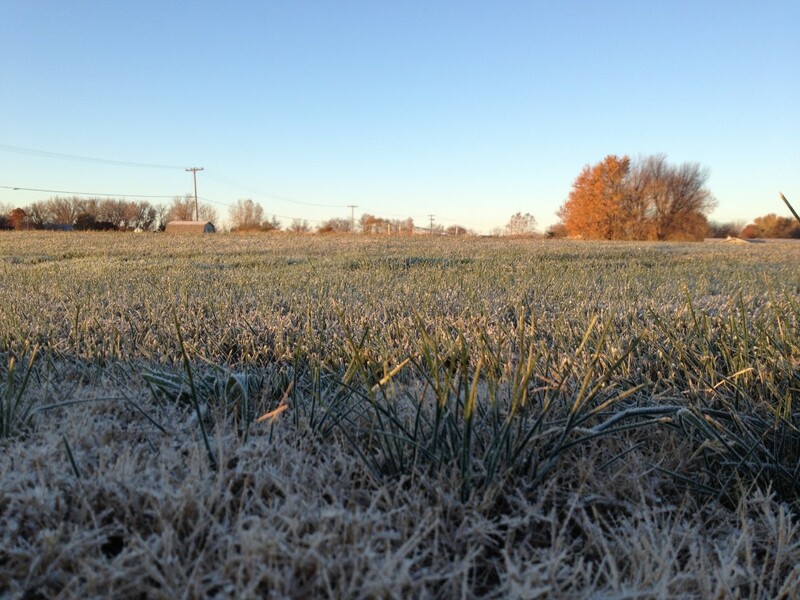 Walking, driving, rolling, mowing or whatever you are gonna do on turfgrass while there is frost out can be very damaging. Small little ice crystals form on the leaf blades then when you apply pressure by walking or driving on the grass, those crystals act like knives and cut into the turfgrass leaves, poking holes into the cells of the grass plant. From there you can kind of get the picture of what happens to the grass. 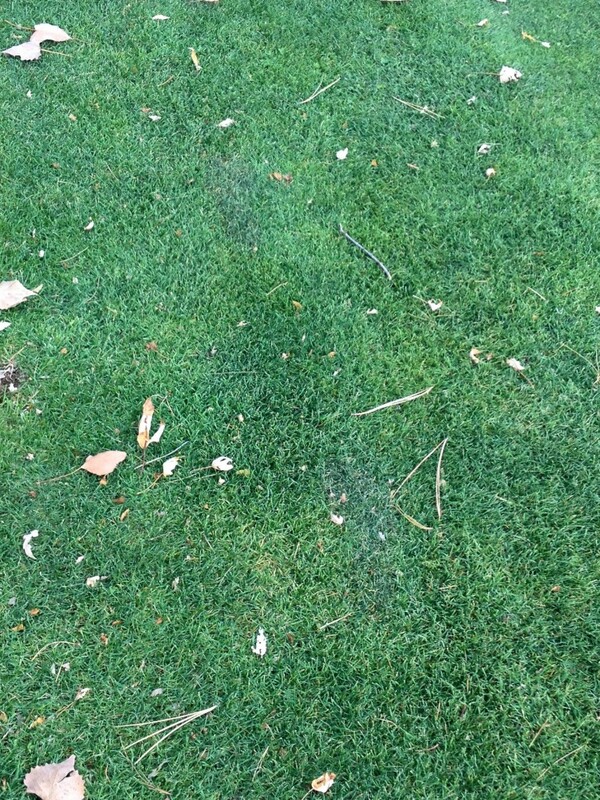 Below is a picture where someone walked on the grass while there was frost. The problem is now the turfgrass is damaged and there isn’t much time before winter for it to recover. So wait until the frost is gone before you drive, walk or whatever you plan on doing in your yard this fall. I always like the changing seasons. The cooler nights and mild days make great cool-season turfgrass growing weather. Everyone has been aerifying, fertilizing, mowing, and seeding. Everything is starting to turf green again from the past couple hot and dry months. But with fall comes the leaves. I really like the changing colors of the trees but shortly after they fall and make a mess. So what does that do to your lawn. Here is a great article by Ward Upham (KSU Research and Extension Rapid Response Hotline) that explains the best way to handle the leaves that fall on your lawn. 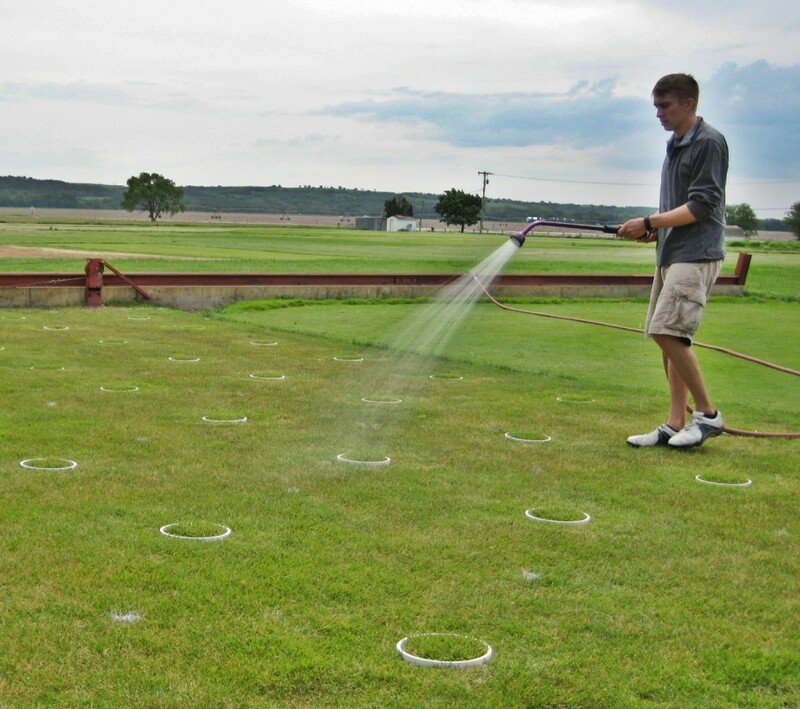 Ross Braun, Ph.D. student in Turfgrass Science has been selected as a recipient of the 2015 Chris Stiegler Turfgrass Science Student Travel Award. His application was one of the top 6 out mainly highly qualified applicants. The award check for $1,000 will be presented to him during the Division C-5 Turfgrass Science Business Meeting, which is on Wednesday, November 18, 10:00 am in Room 101DE in the Minneapolis Convention Center. 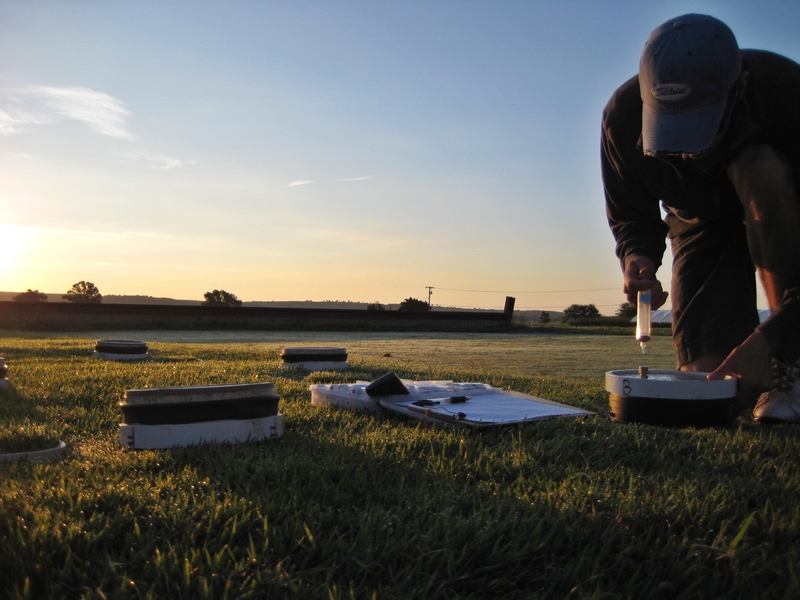 Ross Braun, Ph.D. student in Turfgrass Science won second place among 190 entries in the Agronomy, Crop, Soil Science Society of America Annual Meeting Photo Contest. His photo, along with 11 others, will be part of the photo contest display at the November 15-18 Annual Meeting (https://www.acsmeetings.org/) near Society Center in the Exhibit Hall in Minneapolis, MN. The winners and honorable mentions will be part of a looping PowerPoint during Exhibit Hall hours. It will also be on the three Societies’ web sites at the end of this year. An interview with Jim Prusa, Director of Golf Courses and Laboratory for Sky 72 Golf, and Jay Sporl, Agronomist with the PGA TOUR who helped oversee the grow in for the Jack Nicklaus Golf Club Korea, where the Presidents Cup will be held in 2015. Interview is for the HORT 517 Golf Course and Sports Turf Operations class at Kansas State University taught by Dr. Jack Fry.